EDINBURG — The district director for state Rep. Terry Canales, D-Edinburg, was arrested Wednesday, days after being fired from Canales’ office. 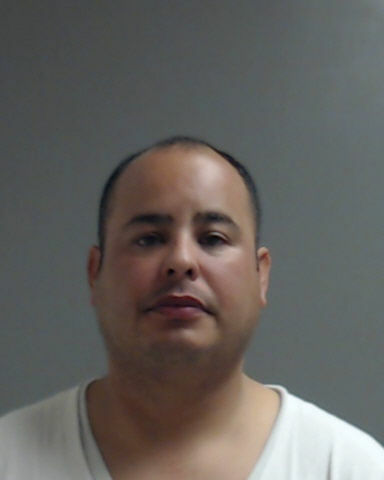 According to Hidalgo County jail records, Edinburg police arrested Alejandro Jose Rios, 38, on an injury to a child felony charge stemming from an incident that took place in late September. Canales’ office fired Rios Friday, according to Chief of Staff Curtis Smith. Rios, who had worked for the representative since 2013, had been suspended since Sept. 28 after the office became aware that the Texas Health and Human Services Commission was investigating “an issue dealing with (Rios’) personal business,” according to a statement Canales released Wednesday following a KGBT report on Rios’ arrest. Edinburg police arrested Rios on a warrant at Kids Kollege Learning Center, a child care center he owns in the 300 block of Conquest Boulevard, according to police spokesman Lt. Oscar Treviño. The nature of the allegations are not immediately clear. Edinburg Municipal Court Judge Toribio “Terry” Palacios set Rio’s PR bond at $25,000, and he was released from jail shortly after being booked Wednesday evening, according to jail records. If convicted of the third degree felony charge, Rios could face up to 10 years in jail.